Can You Trust The Cosmetic Manufacturers To Tell The Truth About Their Products? Nobody is really regulating the claims that cosmetic manufacturers make about their products. Not even the FDA. All they are really required to be truthful about is what’s on the ingredient label. And even then, there are ways to be vague and sketchy about what’s in a product. What do those words mean anyway? 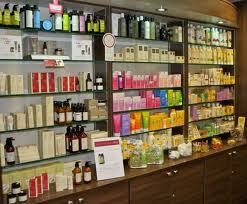 According to CosmeticsInfo.org, a botanical is defined as being related to or derived from plant life. A product can be scented with a fragrance oil or an essential oil. If it doesn’t say on the label specifically how will you know? You have to be savvy when it comes to buying cosmetics. That means ignoring product claims based on the claims alone. Read the ingredient labels. If they are vague, move on to another product that’s more revealing. If you are particularly interested in a product and the label has a few vague ingredients like “scent,” look at the surrounding ingredients. Is the “suspect” ingredient high up or low down on the list? Are they mostly chemicals or natural ingredients? If the ingredients are mostly natural and the scent is not high up on the ingredient label, then you can take the chance that the product is pretty safe. All this analysis brings me back to my original question which is the title of this post, “Can we really trust the cosmetic manufacturers to tell the truth? The truth about what’s in their products? For the most part. The truth about what the product can do? With a grain of salt. When you familiarize yourself with what individual ingredients can do for your skin and hair (cosmetically, therapeutically and prophylactically), you are able to form your own educated opinion about what the product can and can not do. It just takes a little research and a little practice. Do you read the ingredient labels on the cosmetics you buy or do you trust what the bottles/jars say? I guess not, you can’t blame them for fabricating and insinuating false promises for the promotion of their product. It’s part of their strategy to increase and entice people to use their product and as well as generate good sales. All of it are part of black marketing strategy which is the manufacturer is mostly and highly benefited. However, not usually all of it is a lie some part of it may be true to at least somehow meet even half of the consumer’s satisfaction. Of course it’s all marketing but many product manufacturers are outlandish in their claims. In many cases, what they claim is not even true. Of course, that’s not the majority but you know what they say. A few bad apples can spoil the bunch in other words. Once a few manufacturers start exhibiting shady behavior, it makes us consumers leery of them all. I was reading about this recently and even watched a few YouTube videos on the topic. I was really shocked to find out that most of the skin/hair products that I own have sketchy and harmful ingredients. As Dre said we should go natural but some companies market their products as “natural” when it’s not. So we really have to be smart when it comes to choosing our beauty products. And the crazy thing is many ppl, (self included) don’t mind a few safe preservatives in our products. It would just be nice to get full disclosure so that we as consumers can make an educated decision to buy or not to buy. With my line, Blended Naturals I very clearly say either 100% natural for the things that are or 97% natural for those that have a small amount of preservative. I firmly believe that some products need to have preservatives in order to increase the shelf life. I bought a popular brand hair product that didn’t last but about a month. It was natural yes but it went bad. I would have rather had some preservative in it so that I could enjoy the entire jar. I am just recently learning how to read labels for a product’s ingredients. I have gotten rid of quite a few hair care and skin care products because of their sketchy ingredients. We all should encourage each other to read these labels, do research, and use more natural products. Thanks for sharing this! Thanks Dre. I think many product manufacturers try to keep it all on the up and up but every now and then you get a sheister. It’s just good to be educated so we can look out for what’s shady.